Something I made for a pixel doll forum for Hanukkah a couple years ago. Didn't know about that. Thank you.! This is specifically a hanukiah, a menorah for Hanukkah. It has eight branches for the eight nights of Hanukkah. 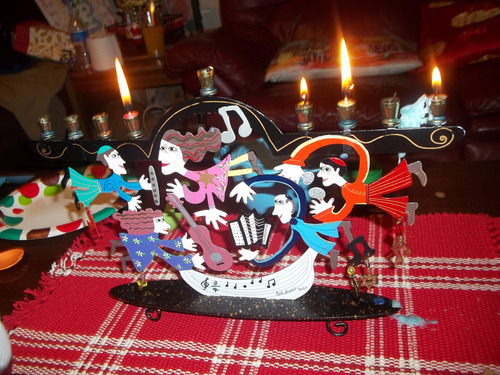 For example, here's my mother-in-law's menorah from Hanukkah this past Dec.
menorah should have six branches, not eight.